An exhibition by seminal British artist David Hockney, titled David Hockney: Current, opens today at the National Gallery of Victoria. The exhibition features over 1200 works in a variety of mediums. Although Hockney is approaching his 80th birthday, the exhibition is not a retrospective – instead, it focuses on the last 10 years of his career. 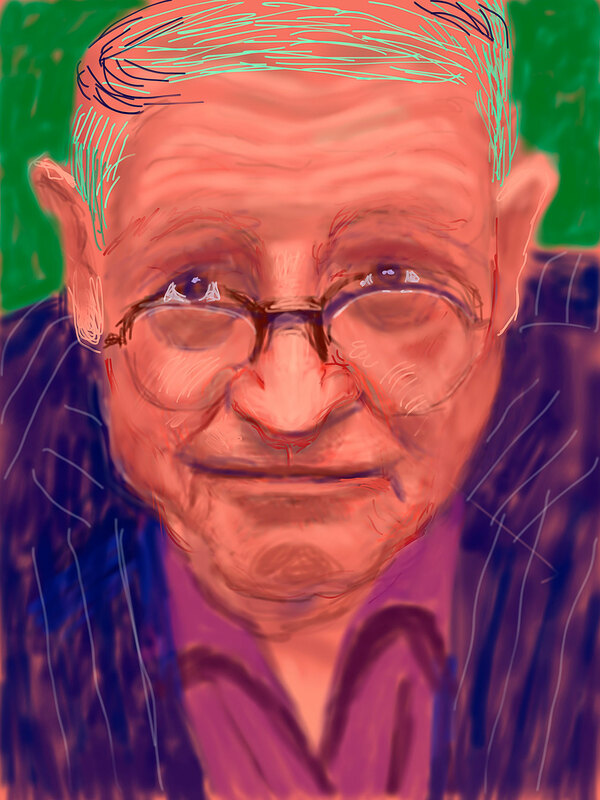 Always prolific, Hockney created many of the artworks that are displayed as recently as two months ago. His work has always incorporated a broad range of sources and techniques, and this exhibition is no exception. It will feature world-premiere new works that were created using iPad and iPhone, which will be displayed on screens and prints as large as four metres tall. A benefit of this method for viewers is that his process creating the works has been recorded electronically, and will be displayed on television screens throughout the exhibition, definitively shattering the ability of dads everywhere to say that contemporary art is easy to make. David Hockney: Current holds thrills for Hockney’s fans, including self-portraits, landscapes of Yorkshire and scenes of Yosemite national park. It features his largest ever painting, Bigger Trees Near Warter, which is 12 meters long and was painted on 50 canvases. Another highlight is the incorporation of his exhibition 82 Portraits and 1 Still Life, which depicts the artist’s family, friends, and subjects including Barry Humphries and John Gehry. In case this wasn’t impressive enough, Hockney painted each one in two or three days. For anyone who gets tired walking down the 60-metre long hallway where they are displayed, the immersive room installation 4 Blue Stools features specially-constructed stools and chairs from which viewers can take in a digitally-constructed image of Hockey’s Hollywood Hills studio, presented as floor-to-ceiling wallpaper. The exhibition’s finale is one of Hockney’s video works, The Four Seasons, Woldgate Woods, which depicts the seasonal changes in landscape of Hockney’s native Yorkshire. Tony Ellwood, NGV director said that Hockney’s “willingness to remain situated in traditional forms while trying to innovate them marks him as quite unique”. This can be seen throughout his career – as far back as his iconic work A Bigger Splash (1967), he was one of the first artists to make extensive use of acrylic paint. 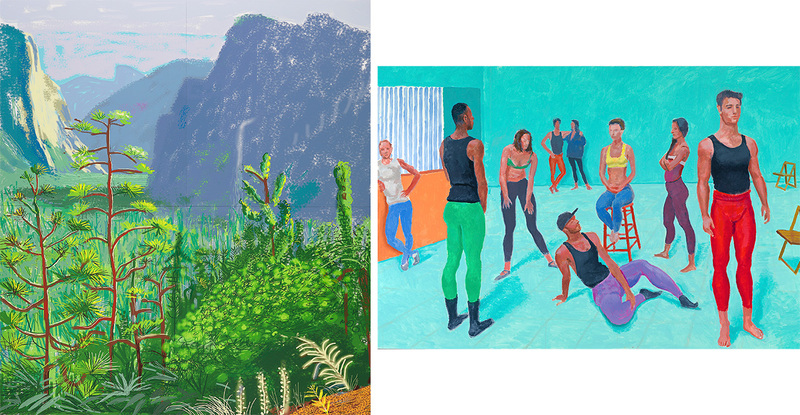 David Hockney: Current provides an opportunity to witness one of our most influential living artists delve into new territory, and experiment with fresh modes of production. David Hockney: Current is on display from 11 November 2016 to 13 March 2017. More information is available here.